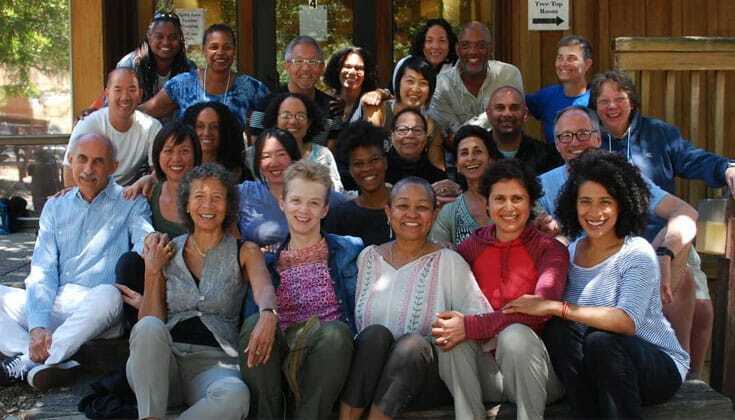 In July 2017, the eighth Spirit Rock Teacher Training program began with more participants from diverse, multicultural communities than ever before. This four-year training will create fully authorized residential retreat Dharma teachers in the Theravadan tradition for Western lay communities. 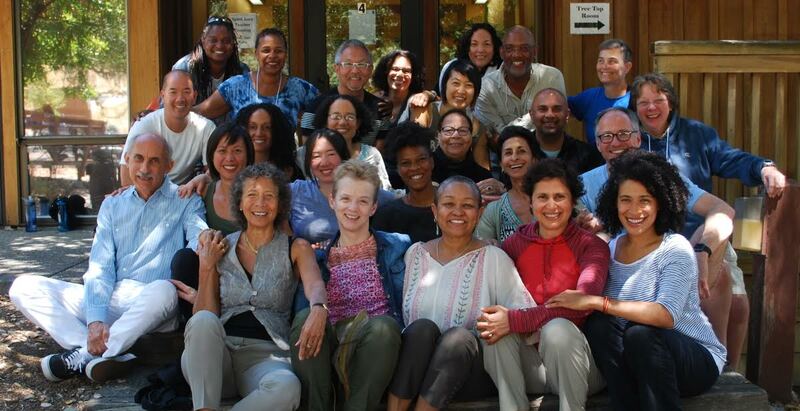 The teachers and participants of the first session of the four-year Spirit Rock Teacher Training program. 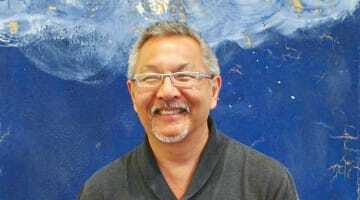 We — Gina Sharpe, Lila Kate Wheeler, and Larry Yang — are the core teachers of the program. 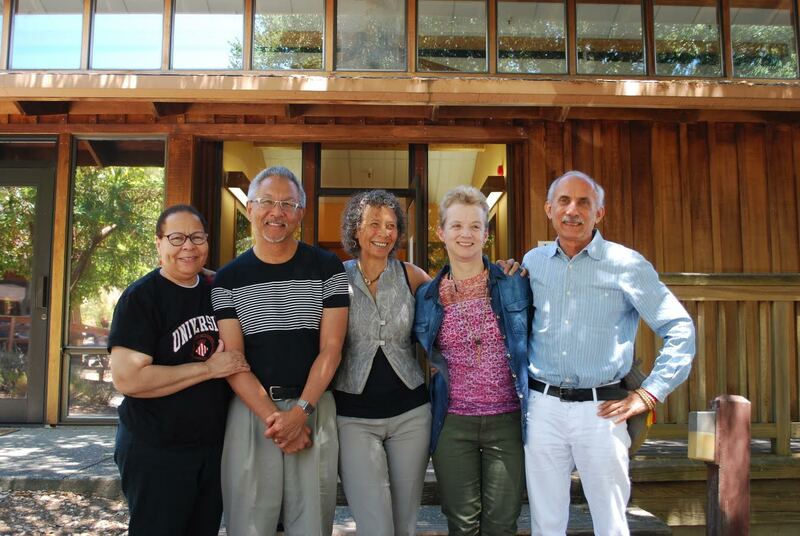 The teachers of the first session of the Spirit Rock Teacher Training program: Jan Willis (guest teacher), Larry Yang (core teacher), Gina Sharpe (core teacher), Lila Kate Wheeler (core teacher), Jack Kornfield (guest teacher). 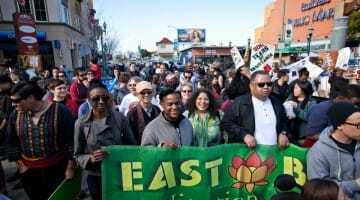 An important goal of the program is to create more universal access to the Teachings of the Buddha and expand the flow of the Dharma into as many diverse communities as possible, for many generations to come. 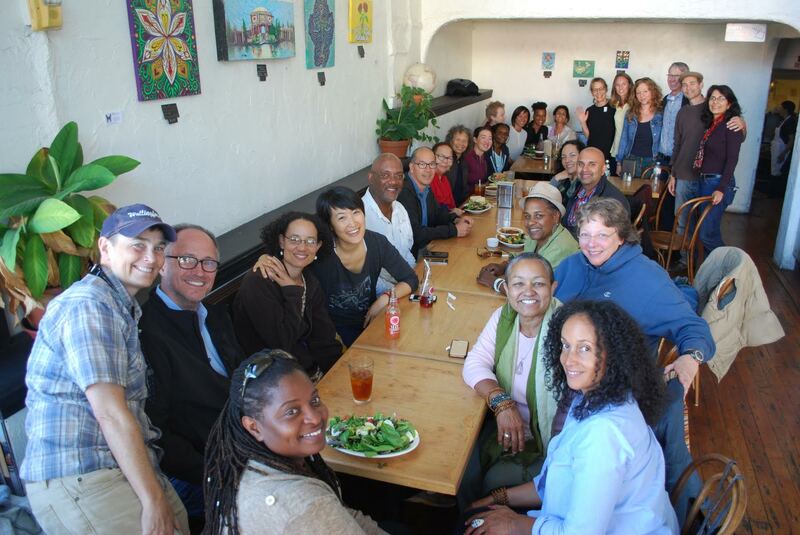 Participants of the current Spirit Rock Teacher Training meeting with graduates from the previous Spirit Rock training program. Kate Wheeler is a teacher at the Insight Meditation Society in Barre, Massachusetts, and the author of When Mountains Walked.